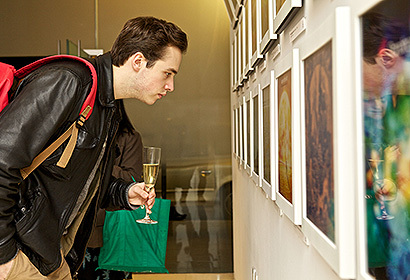 For the 2012 Best Art Vinyl Award we teamed up with the St Martins Lane Hotel in London with a unique exhibition of the 50 nominations and retrospective of past years winners. 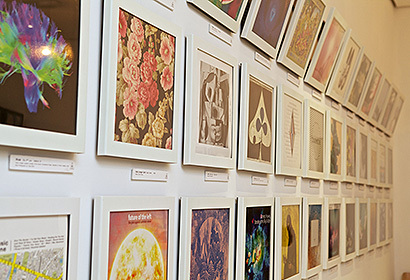 With a record number of voting public this was to become a vintage year for Best Art Vinyl as it was now becoming clear that the public had a real passion for contemporary vinyl cover design, which was demonstrated through a record number of votes online and at our St Martins Lane Art Vinyl Gallery. The eventual winner was The Temper Trap’s self-titled LP, Keane’s Strangeland coming second, and The 2nd Law by Min third place. 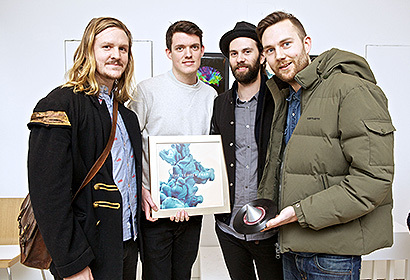 The 2012 winners displayed a diverse mix of art and design with The Temper Trap’s strikingly beautiful photographic cover, designed by Alberto Seveso and the London-based Boat Studio. Keane’s Strangeland features a quietly beautiful photograph by Alex Lake, whilst the stunning design of The 2nd Law depicts a captivating full colour image of the connections in a human brain, courtesy of the Laboratory of Neuro Imaging at UCLA. 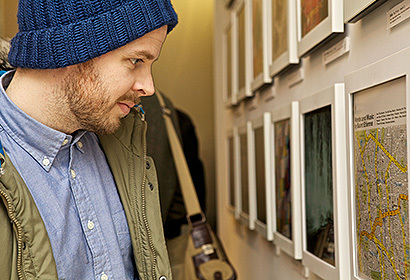 “Boat Studio worked with The Temper Trap to create an identity for their self-titled second album. We wanted to give the platinum-selling Australian band something more than a smart album cover; but a visual identity that could run throughout the album campaign; visuals from which you could remove their logo and it would still be unmistakably their’s. Boat Studio collaborated with Italian artist Alberto Seveso to create the identity. Working with acrylic ink in water, he photographed a suite of images in a bold primary palette to run across single and album artwork. The campaign was created in two locations, from Alberto’s studio in Sicily and ours in London, where we created moving visuals. The launch campaign surrounding the album had a heavy digital focus, so important when creating static visuals; we wanted to bring the artwork to life in film. Shooting the ink unfolding in water in high definition, we created a series of moving images that were eventually employed in the iTunes LP as the first ever moving lyrics booklet, and also formed a simple, hypnotic video for a leaked taster song from the album – Rabbit Hole, which clocked up over 800k hits onYouTube.